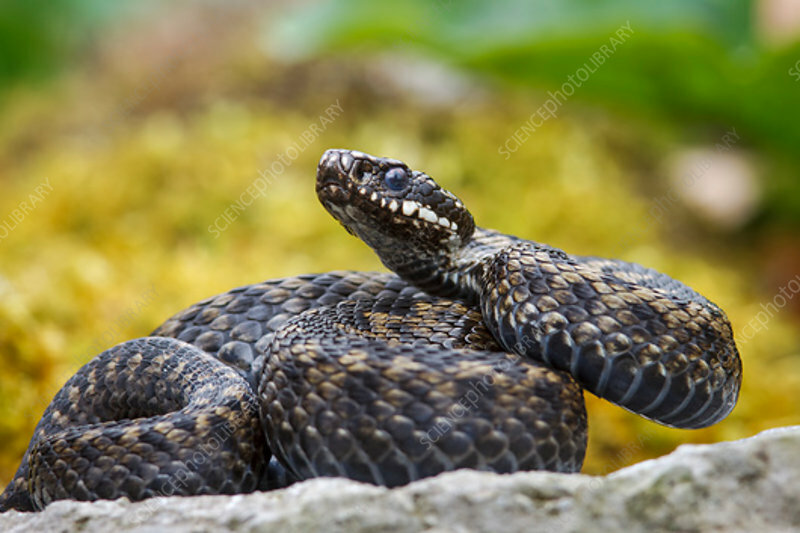 A male common adder (Vipera berus) having recently emerged from hibernation. Found across much of Eurasia and extending as far north as the arctic circle. This is Britain's only venomous snake. Photographed in Somerset, UK, in March.